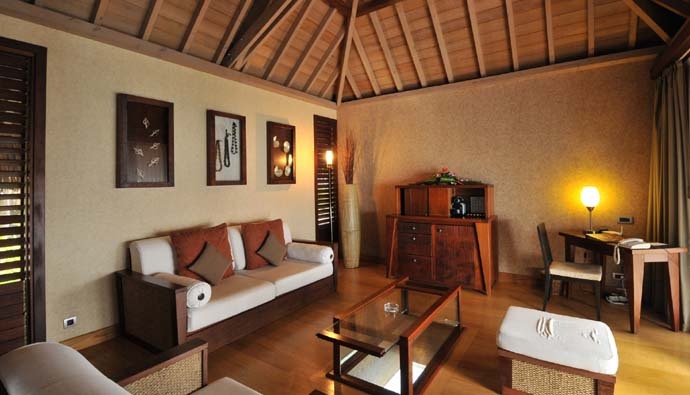 Located on the first floor, these rooms of the same size and decor of the upgraded Garden or Lagoon View Rooms do not offer any view. 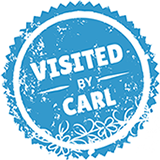 I would highly recommend upgrading to the Garden or Lagoon View rooms as an alternative and better experience. 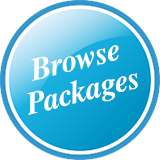 Category of same size and decor as the Lagoon View Rooms. They are located at garden level although some of them have a partial view on the water as well. 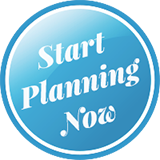 Rooms can hold up to 2 adults and 1 child in either 1 king bed or 2 single beds plus a rollaway. 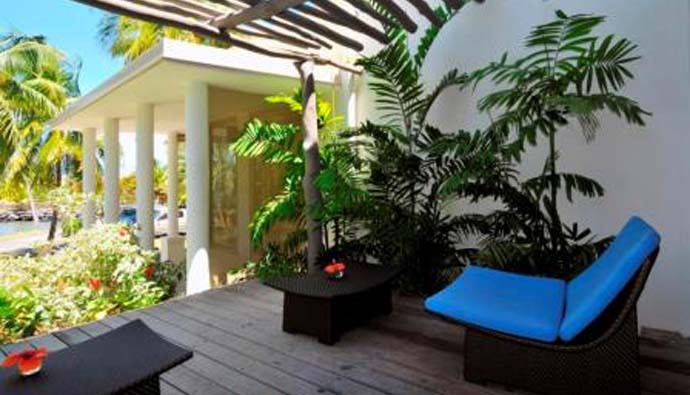 Each room has a terrace so you can enjoy the tropical breeze. 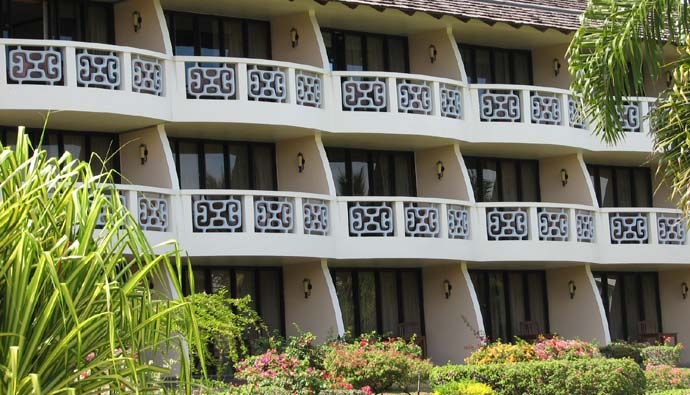 Spacious rooms with private balcony, grouped around the central core of the hotel and all have nice views of the lagoon. Rooms will hold up to 2 adults and 1 child in either 1 king bed or 2 single beds and the option of an additional rollaway bed. 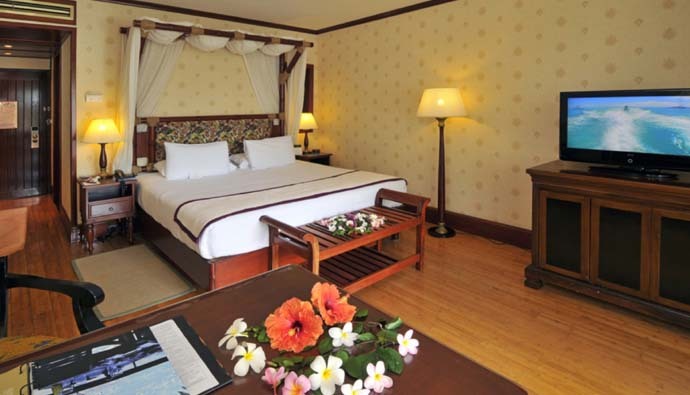 Same as the Superior Lagoon Room, but located at garden level, these rooms have a view over the colorful flowers and plants of the resort manicured garden. 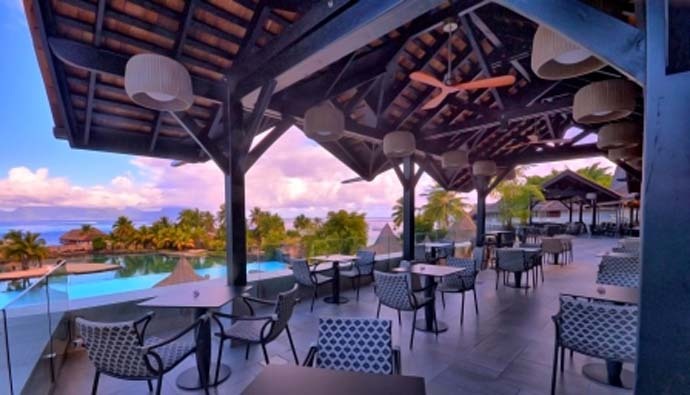 Newly renovated and refurbished in a fresh Polynesian style, these beautiful rooms feature wide sliding glass doors which allow in plenty of natural light. 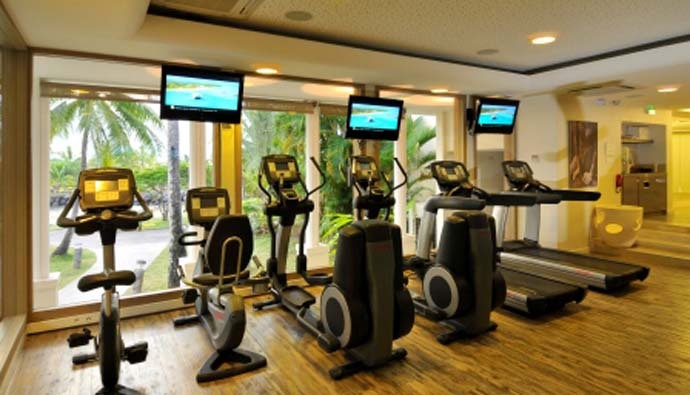 These units boast splendid views across the lagoon onto the ocean. 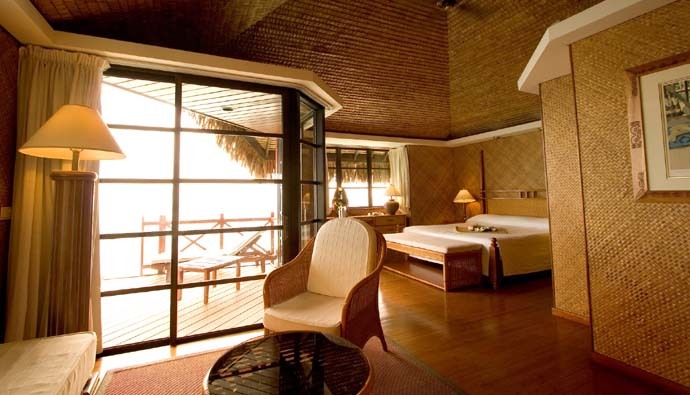 Same as the Panoramic Lagoon Rooms, but located at ground level, these rooms enjoy an extended view on the magnificent garden. These brand new overwater bungalows, built in 2015, are nicely set directly over the lagoon, around the resort own private motu (islet). They are located next to the Lagoonarium and the main pool. 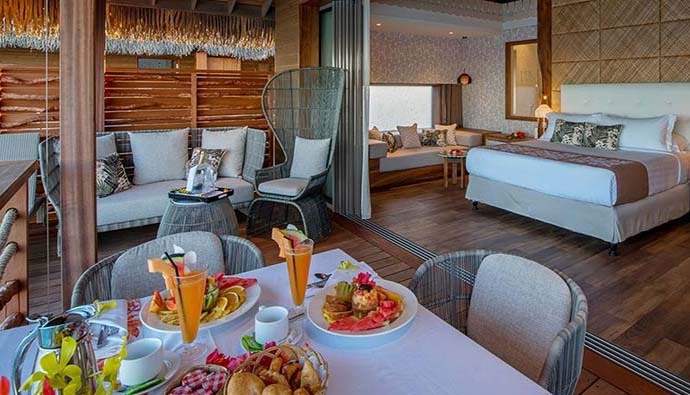 The exclusive Overwater Suite Villa has a roomy area of 100 sq meter of space to enjoy, including the split-level terrace and the sundeck from which you step into the warm lagoon. 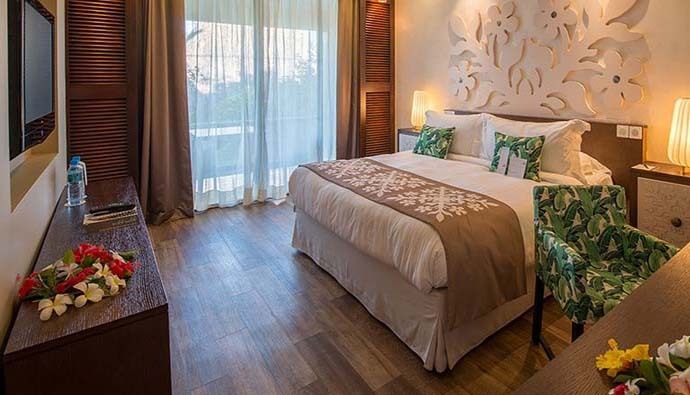 The Suite will accommodate 4 adults or 2 adults and 2 children in 1 king bed and 2 sofa beds. A rollaway bed can be added upon request. 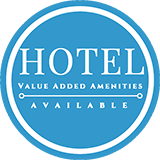 Air Conditioning, Bathtub, Cable TV, Ceiling Fan, Coffee / Tea Facilities, Connecting Rooms, Hair Dryer, Iron, In Room Internet Access / Wifi, Mini Bar, Radio, In Room Safety Box, Shower, Telephone. 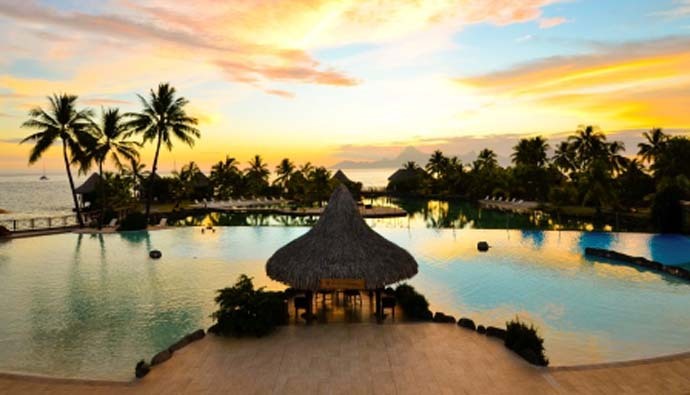 Facing the island of Moorea, the InterContinental Tahiti Resort is a deluxe property stretching along the lagoon, a short 3km from the Airport & 6km from Papeete. 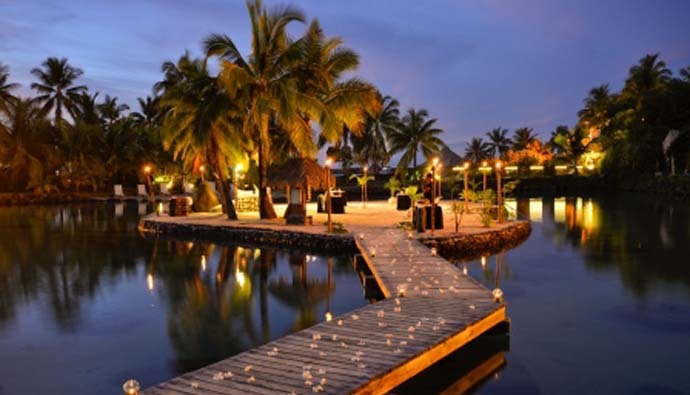 The resort boasts a private natural lagoon, 2 separate fantasy infinity pools with jacuzzi (one with swim-up bar, the other with cascade), its own dive center, an Algotherm Spa, and many other activities. 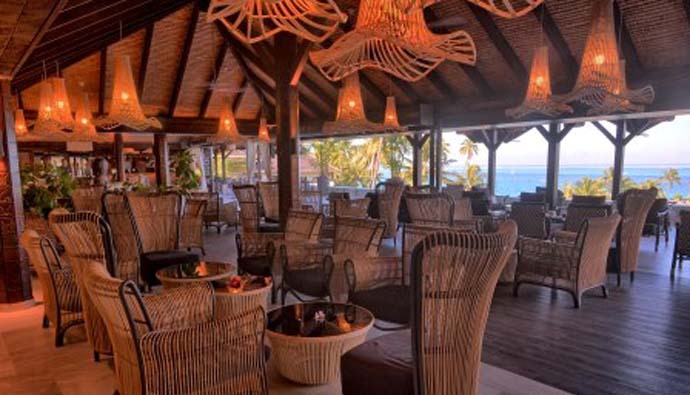 The restaurants offer refined cuisine and excellent entertainment. 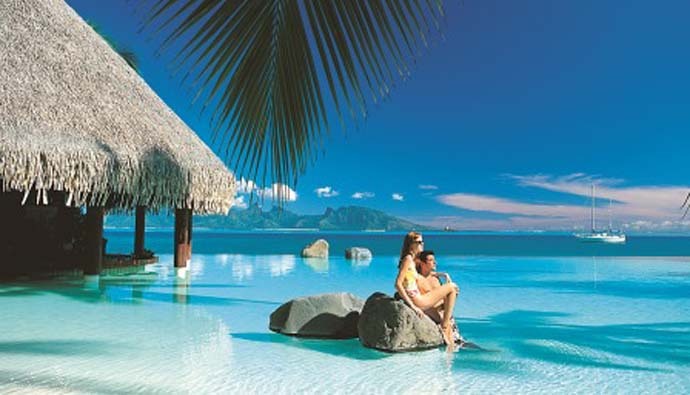 One of the best hotels on the island of Tahiti but if you are moving along to other islands you might save your money on top room upgrades for Moorea, Bora Bora or Taha’a instead. 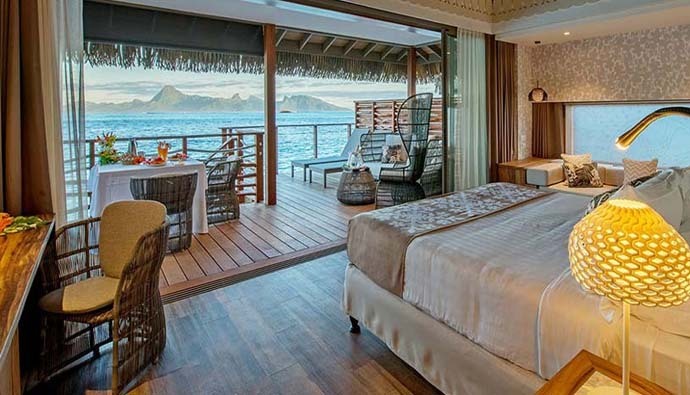 However their new Overwater Bungalows are spectacular – but sell out way in advance!